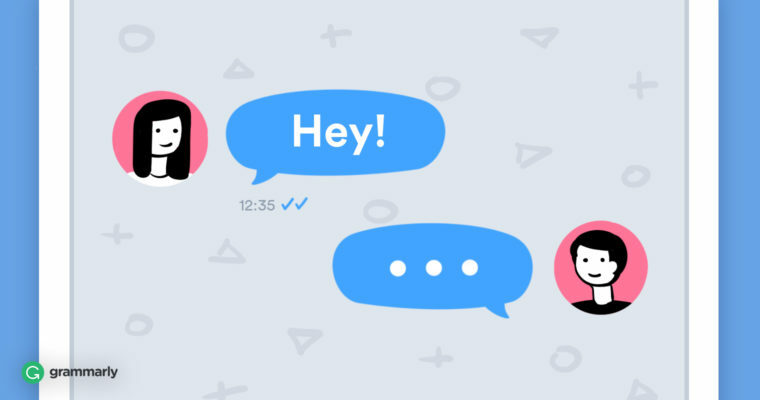 You’re probably not as good at starting conversations as you think you are. And if, after reading that statement, you’re thinking Nuh-uh! I rock at starting conversations! there’s an even better chance you need the advice in this article. Last night, I went to a blues concert with my friend. After the concert, we bumped into two of his acquaintances. The first, Mindy, approached us and said hello, but then stood there passively waiting for someone else to say something. The second, Lisa, fluttered in like leaves in a windstorm and babbled incessantly about herself for twenty minutes until we made an excuse to leave. Neither person in that scenario was good at starting, much less maintaining, an interesting conversation. I’ll bet you’ve had similar experiences, ranging from the person who stands there waiting for you to take the lead to the one who starts talking and won’t shut up. The trick to engaging in an interesting conversation is simple—stop trying to be interesting. Instead, be interested in the other person. Here are seven ways to start a conversation that won’t leave the other party burdened with having to take the lead or struggling to find a way to extricate themselves. When circumstances aren’t ideal, acknowledging a shared experience can soften the edge and get a conversation going. It’s likely you use this approach all the time without realizing it. At the grocery store, you comment to the person in front of you that the lines always seem to be longest when you’re on your lunch break. From there, a brief conversation flows naturally. The same technique works when the stakes are higher, too—networking at a party, for instance, where everybody’s a little anxious about making a good impression. Be careful using this technique. Do your best to remain neutral. A comment like “These networking events are such a bore!” could end up working against you if it turns out the person you’re talking to planned the event or is friends with the person who did. The opposite of the “we’re in this together” conversation starter is noticing something pleasant. A positive approach can get a conversation off to the right start. We tend to like upbeat people who draw our attention to good things. This technique can be a great ice-breaker. Who doesn’t like hearing a sincere compliment? You don’t have to fawn over the other party to make an impact, either—succeeding is as simple as noticing something you like and mentioning it. One caveat—with the possible exception of hairstyles, don’t comment on physical things. Complimenting a new haircut is one thing, but saying “You have such clear skin” is taking a hard detour into creepy territory. We all want to feel like our opinions matter. Asking for someone’s opinion shows that you’re interested in them and their thoughts. Stick to topics that are immediately relevant. It’s a little weird to walk up to someone and ask, “So, what do you think of the current U.S. political climate?” Not to mention the fact that you may not want to go down that particular rabbit hole with a stranger. There’s no better way to show that you’re a nice, approachable person than to be helpful. If you find yourself in a situation where you can lend a hand, go ahead and do it. 6 Look for common ground. This one’s easiest if you know you’re at a function where everyone’s likely to have a similar background. When you bring up what you have in common, you make an instant connection that will lead to more things to talk about. “How long have you been in the marketing business? 7 Ask for help or information. Much like asking an opinion, asking for a little help or guidance can be a great way to make someone feel useful. Just make sure whatever you’re asking for is something the other party will be able to offer without putting themselves out. Excellent! Now that you’ve got the conversation started, follow the rules of small talk 101 to keep it flowing for a while. Just remember to be interested in the other person, find common ground, and ask follow-up questions. He’d done his internship there.